What the installer from Sacramento, California had to say...."This table went together very well. 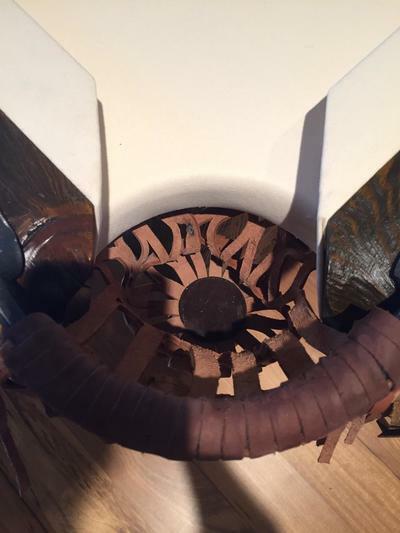 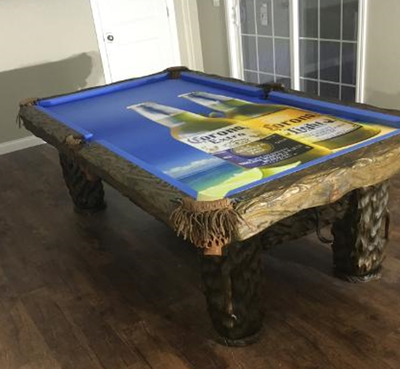 It's a really nice table. 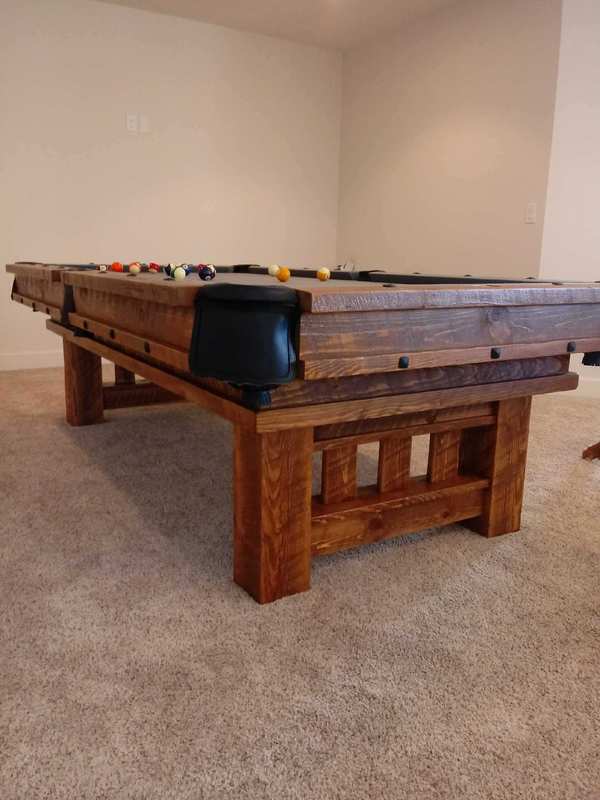 Clients were there and very happy." 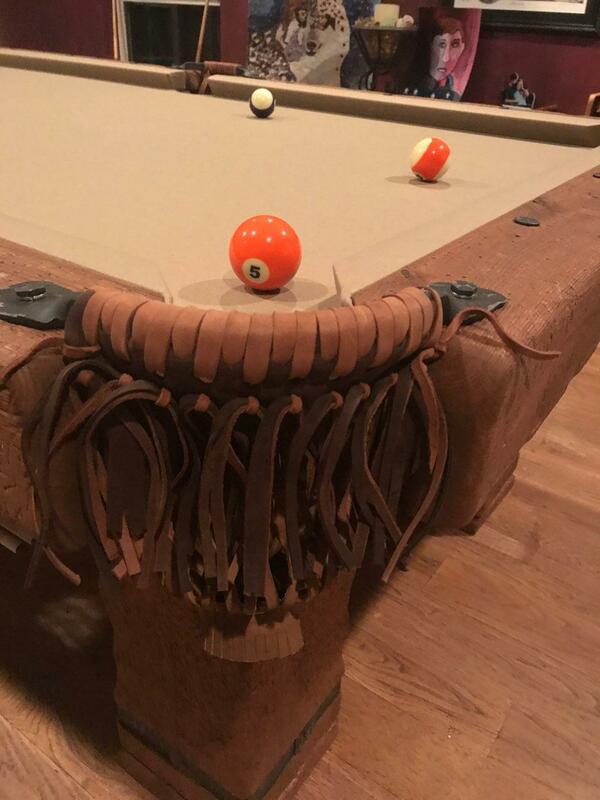 Camel Felt. 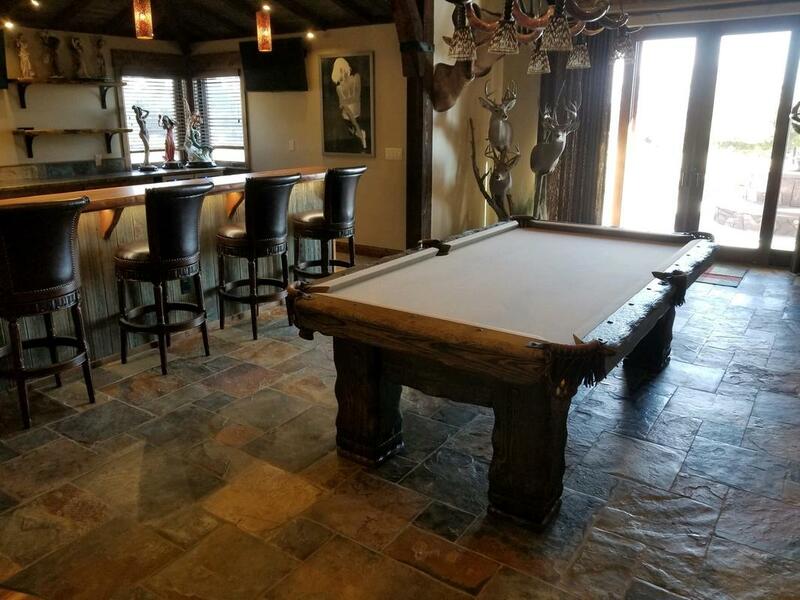 Grizzly spotted in Bear Valley, California. 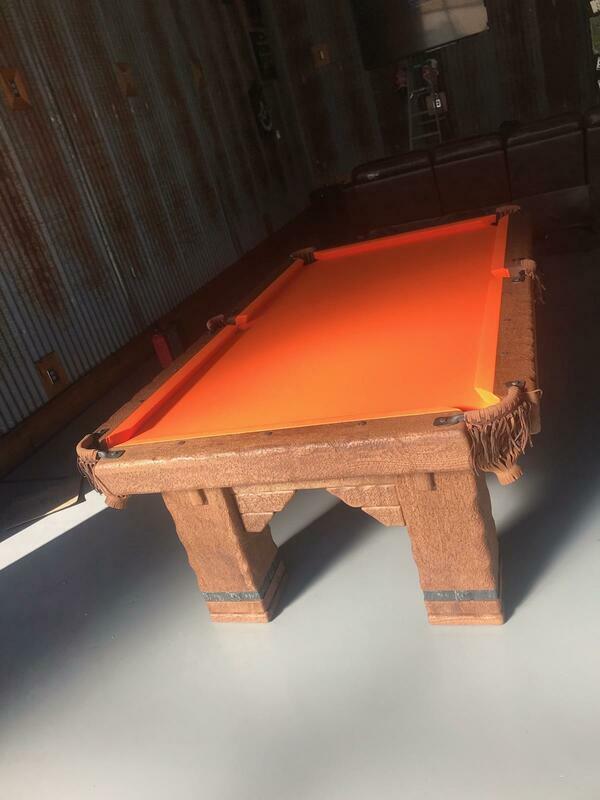 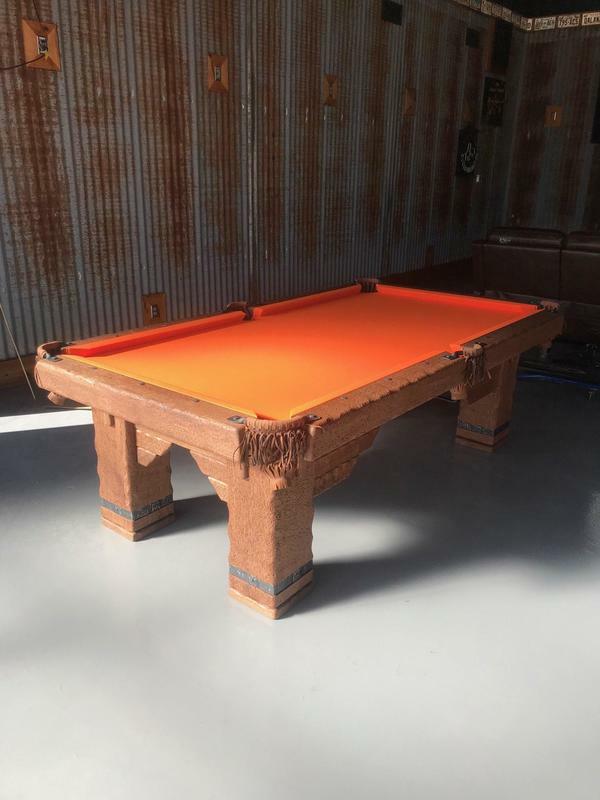 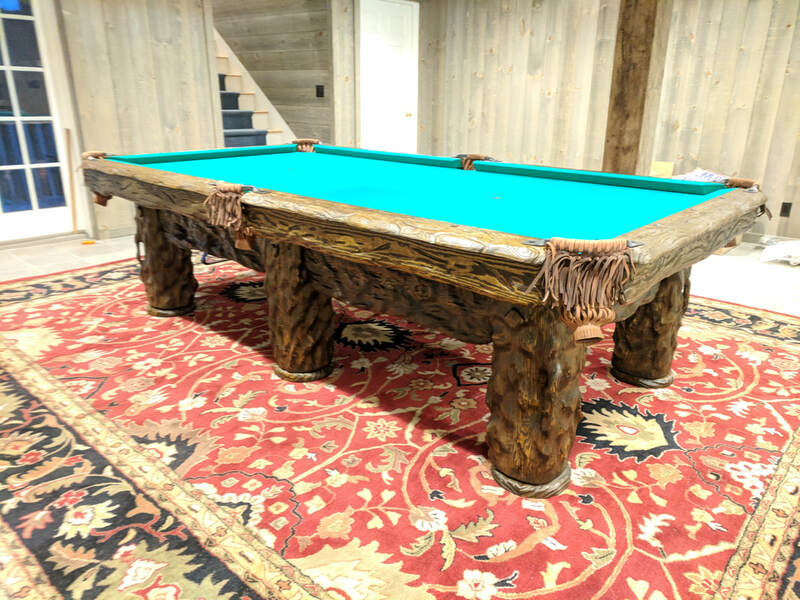 A Western Pool Table in Texas! 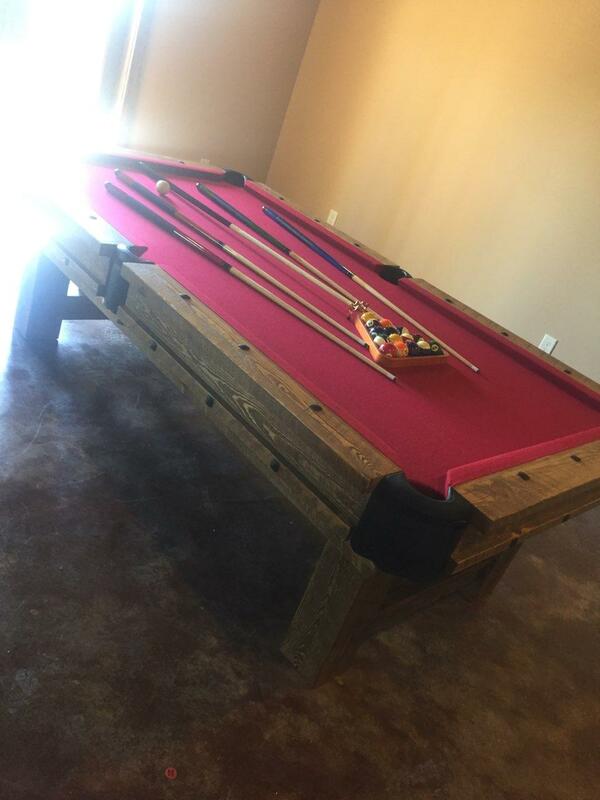 Amarillo, Texas installed on Christmas Eve - "Went Great and Looks Fabulous" Dalana in TX. 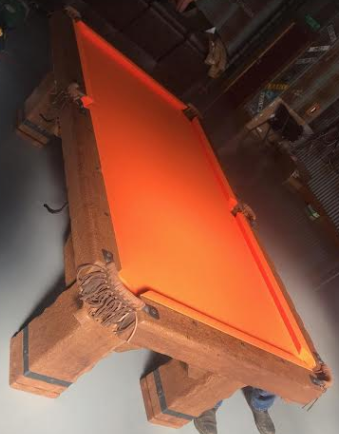 Gun Smoke with orange felt. 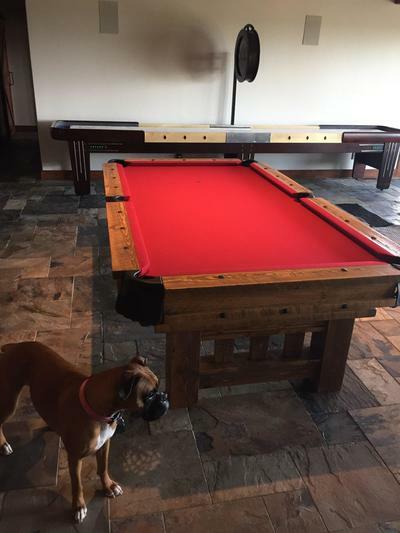 Jim in PA - ​Grizzly Bear in Red Felt. 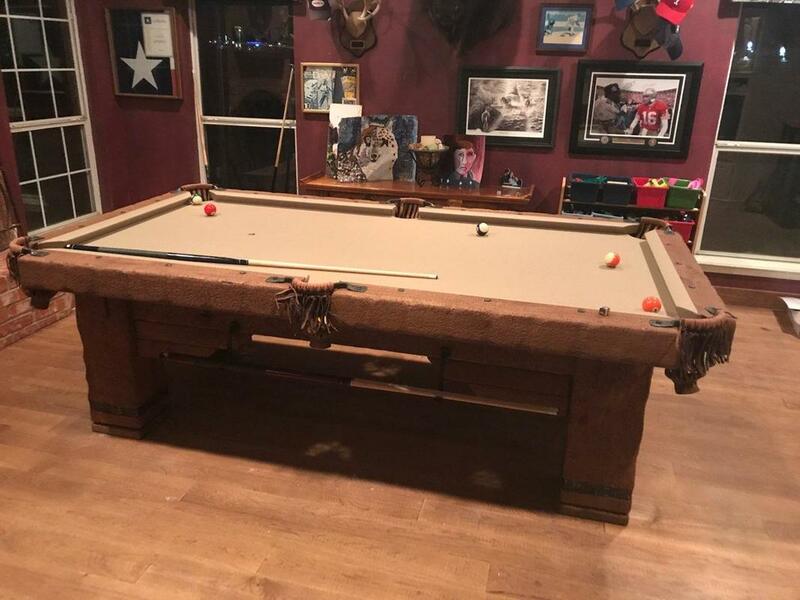 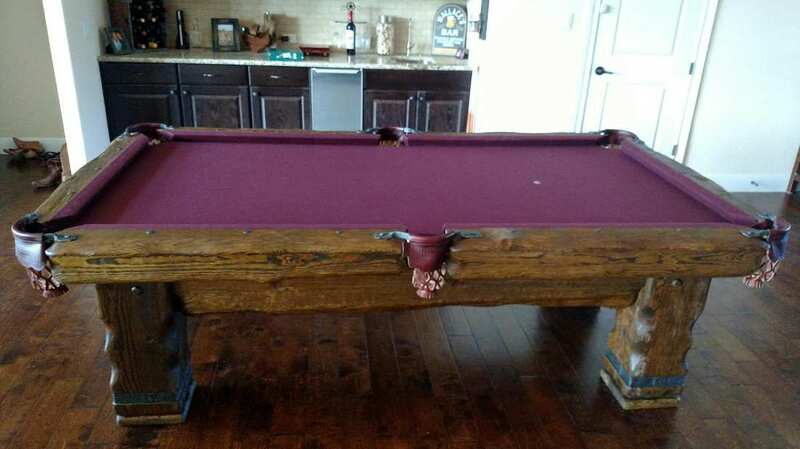 Texas - Gun Smoke Log Pool Table. 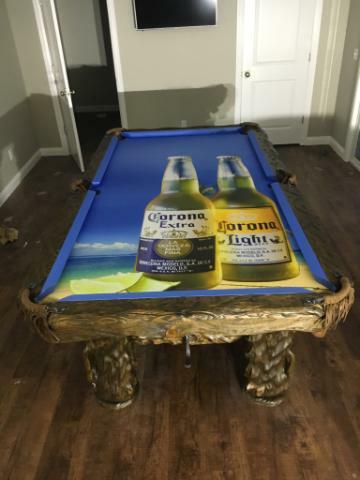 "I will send pics and happy to give a testimonial. 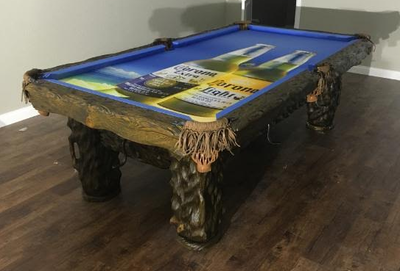 I'm gearing up for the biggest art show of my year so it will have to wait a few weeks , but I almost literally decorated my room around this table , it will make great images. I'll try drafting up something sooner. 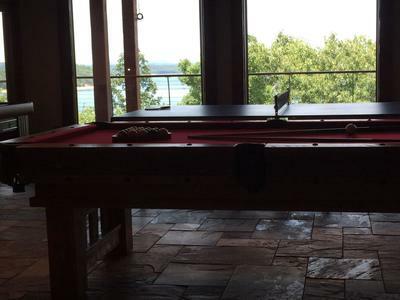 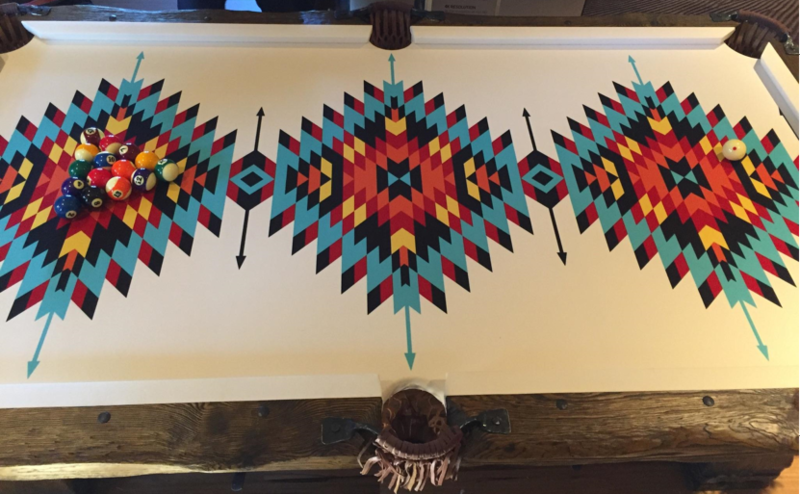 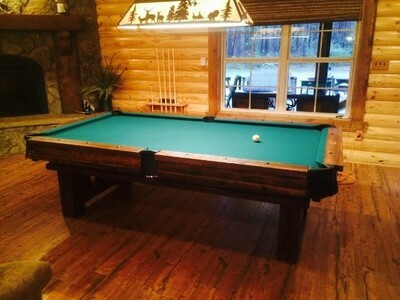 in writing"
Light Stain with Burgundy Felt ~ LOG CABIN Pool Table installed in CO, more pics coming soon. 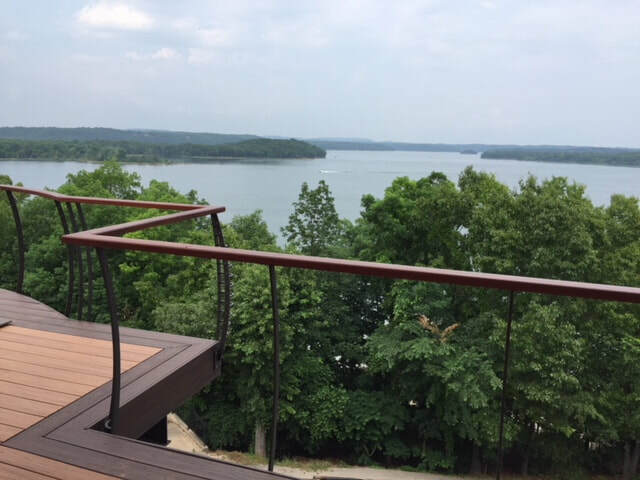 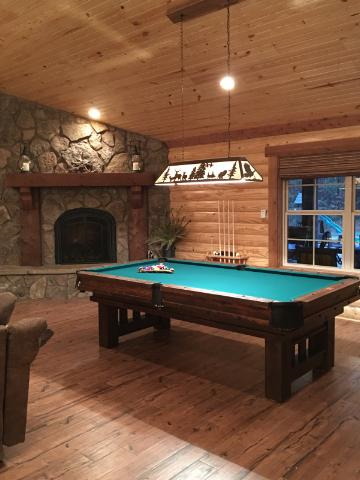 ​"What a fantastic additional to our vacation home. 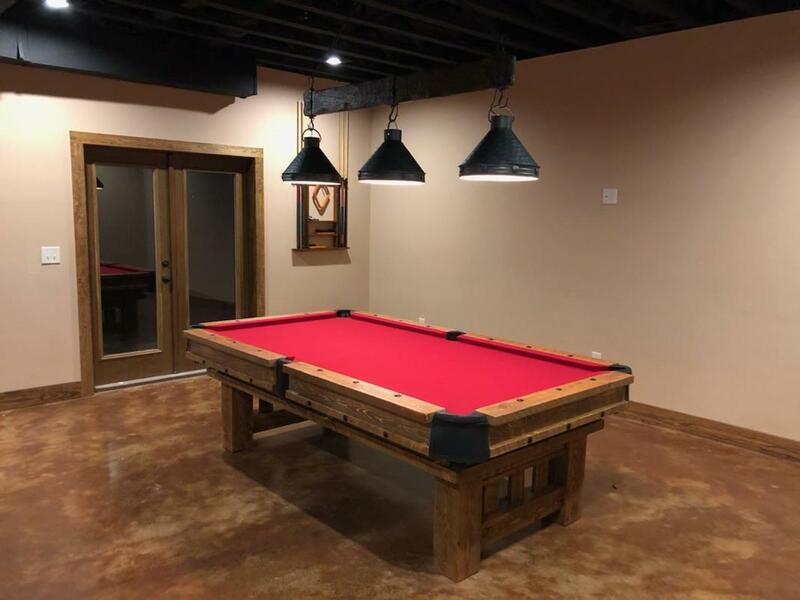 Family and friends have loved it and it's the hit of many of our parties. 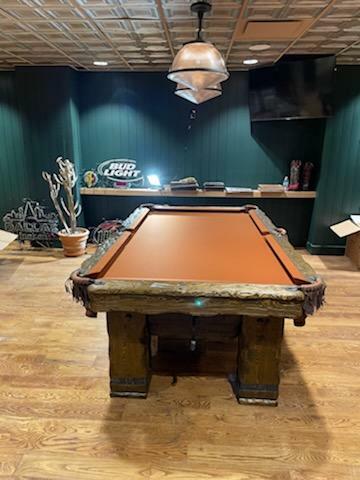 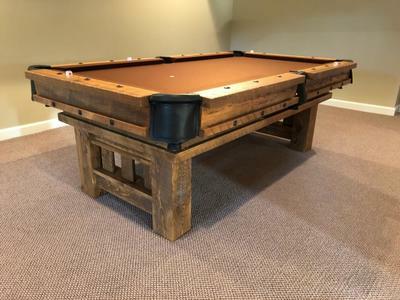 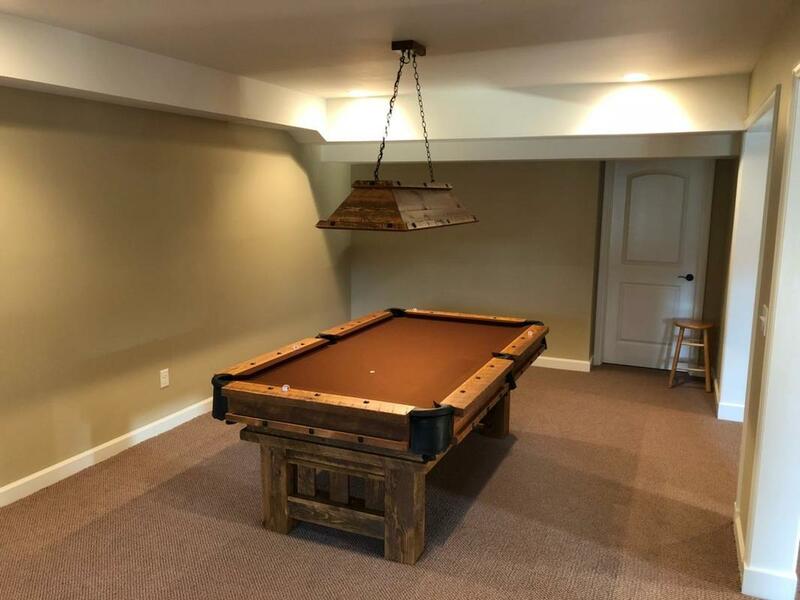 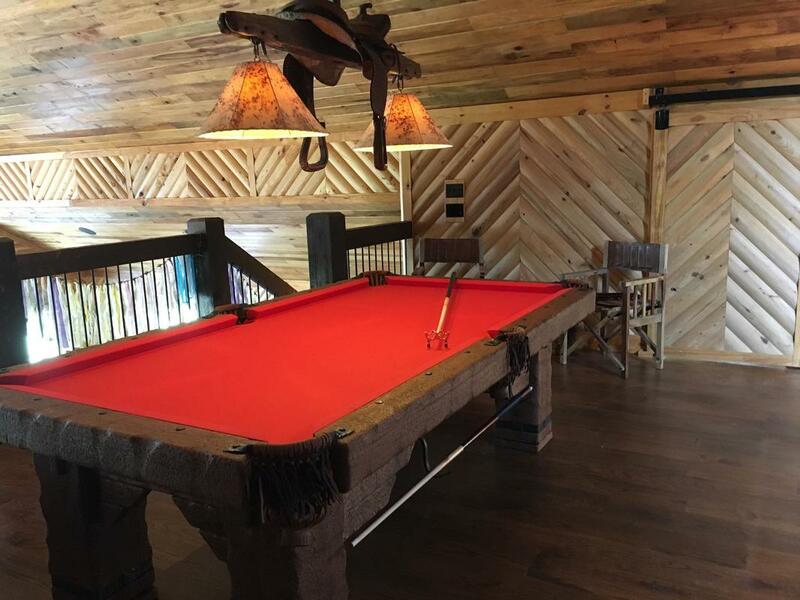 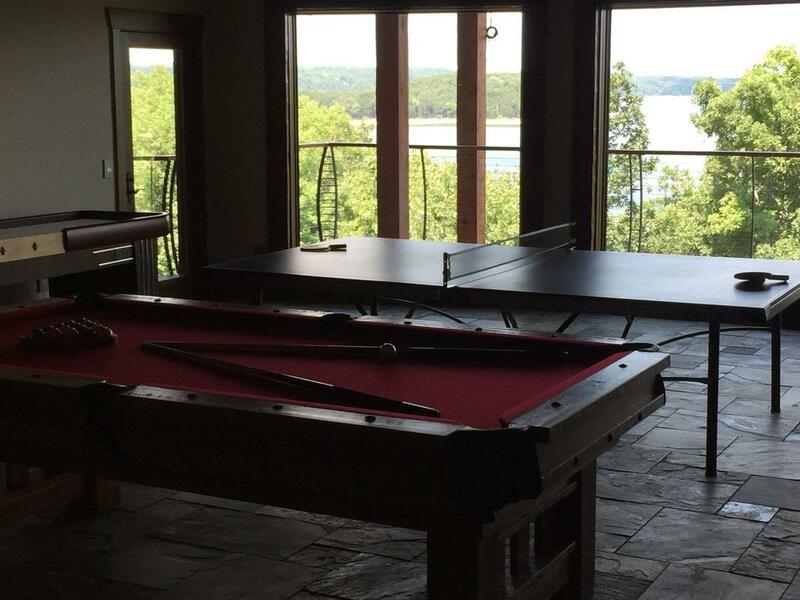 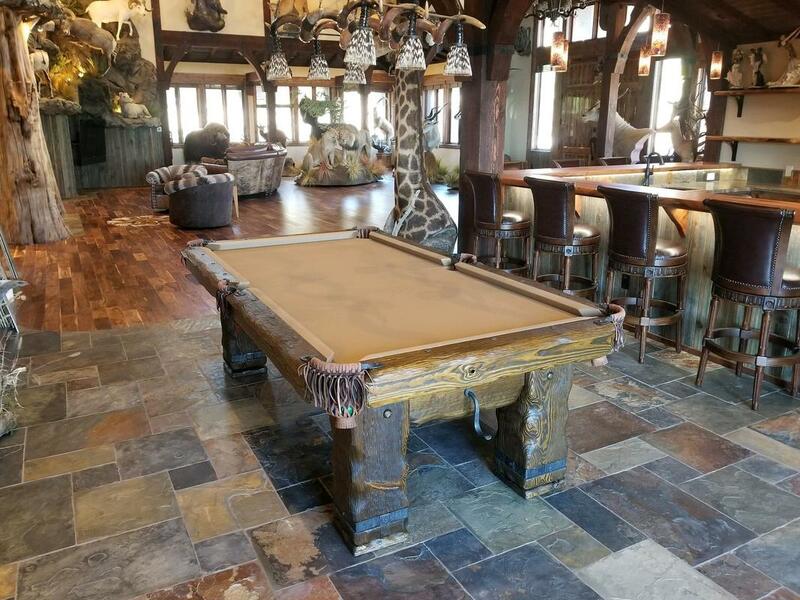 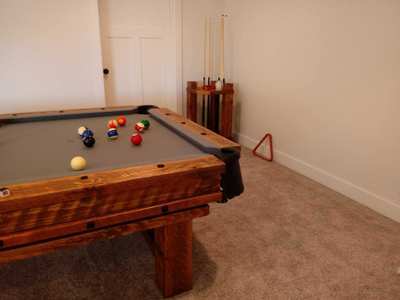 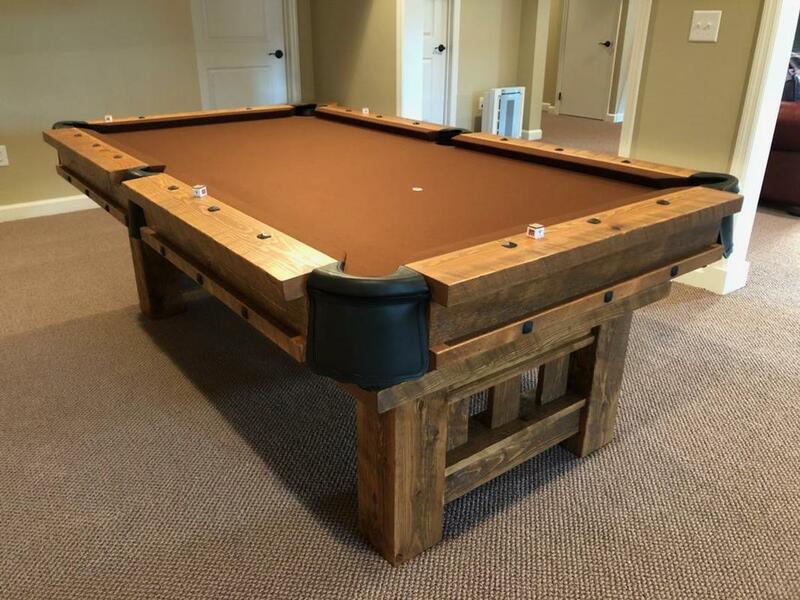 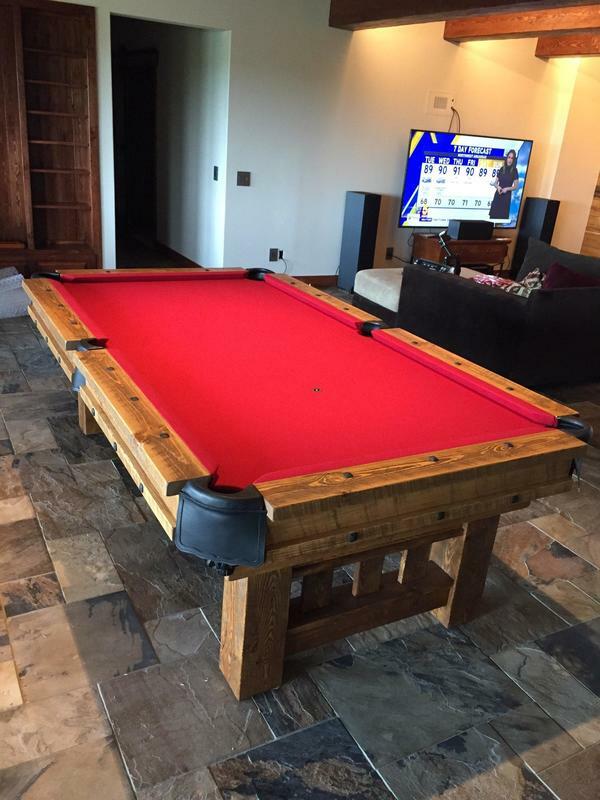 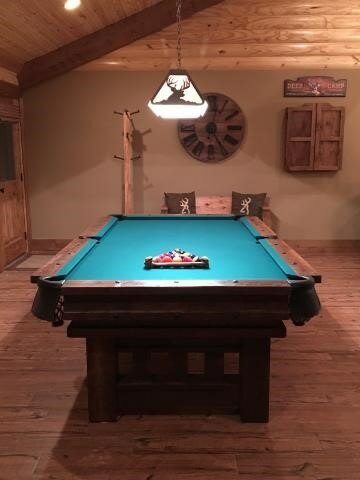 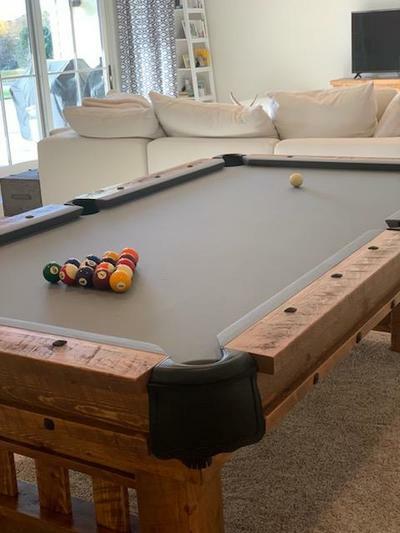 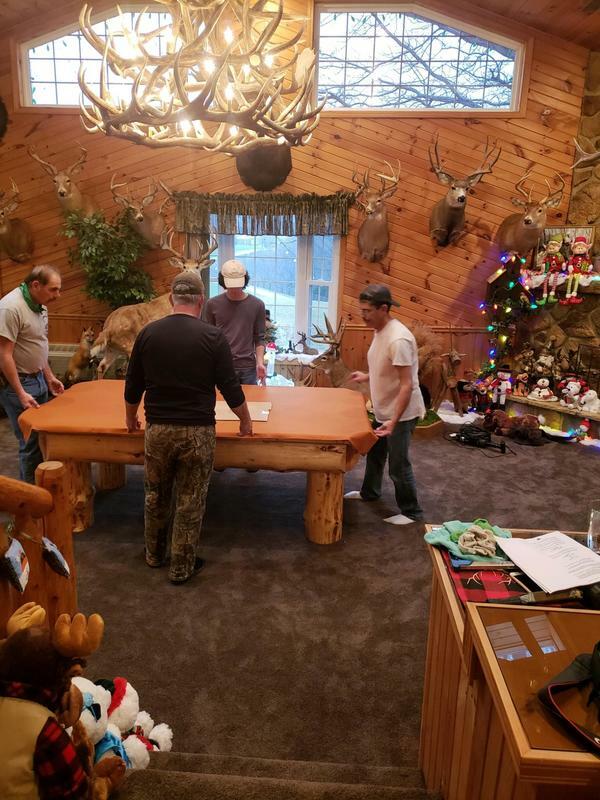 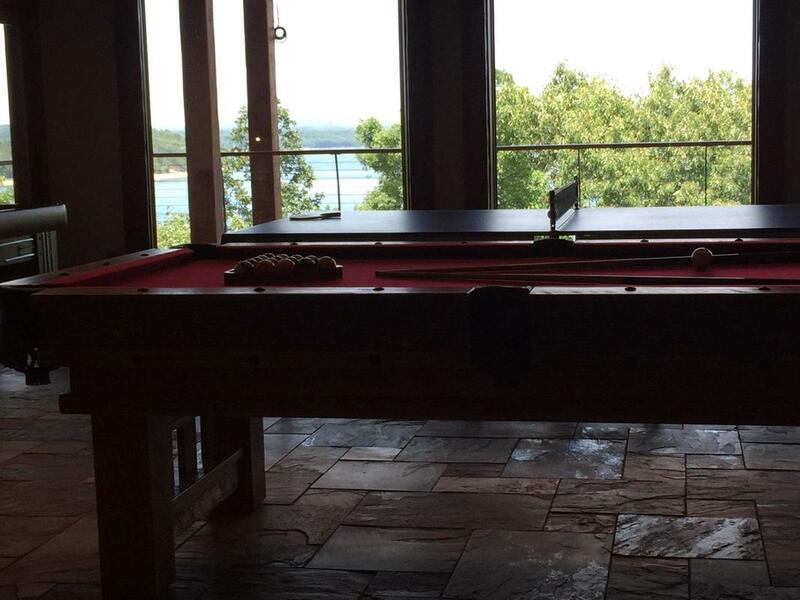 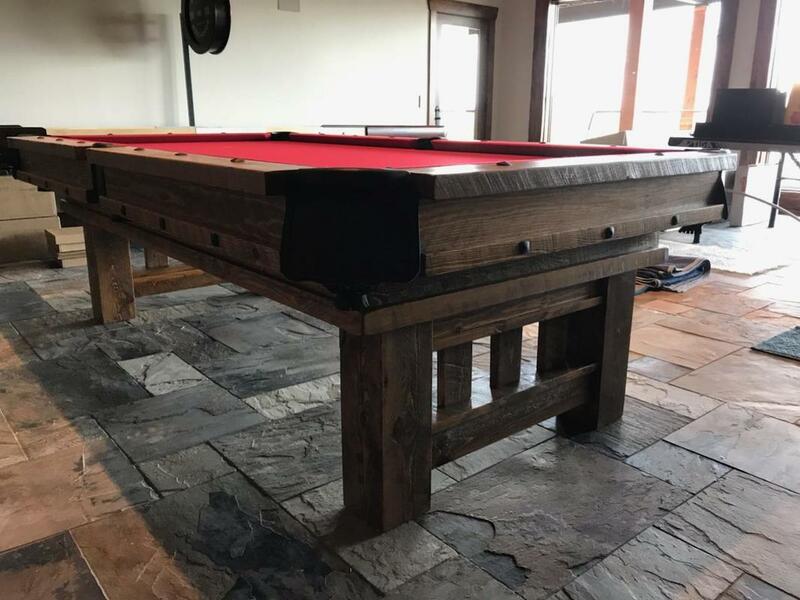 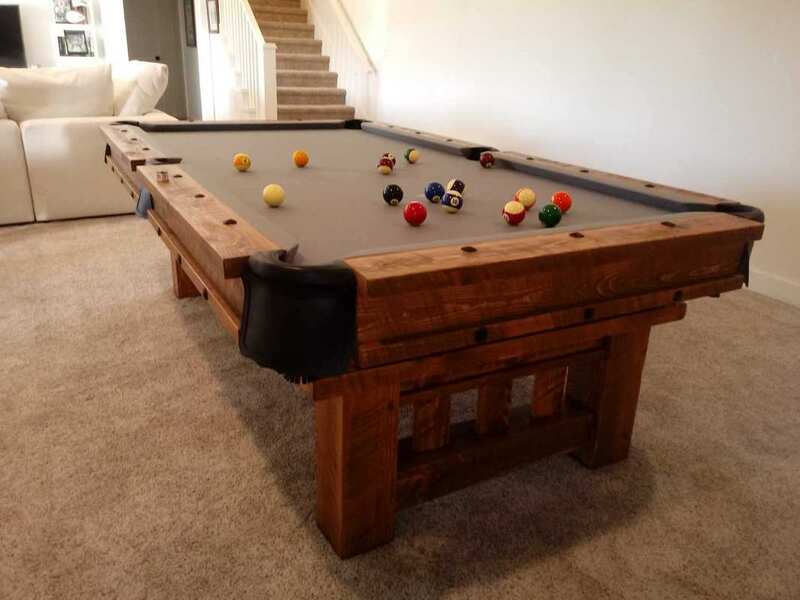 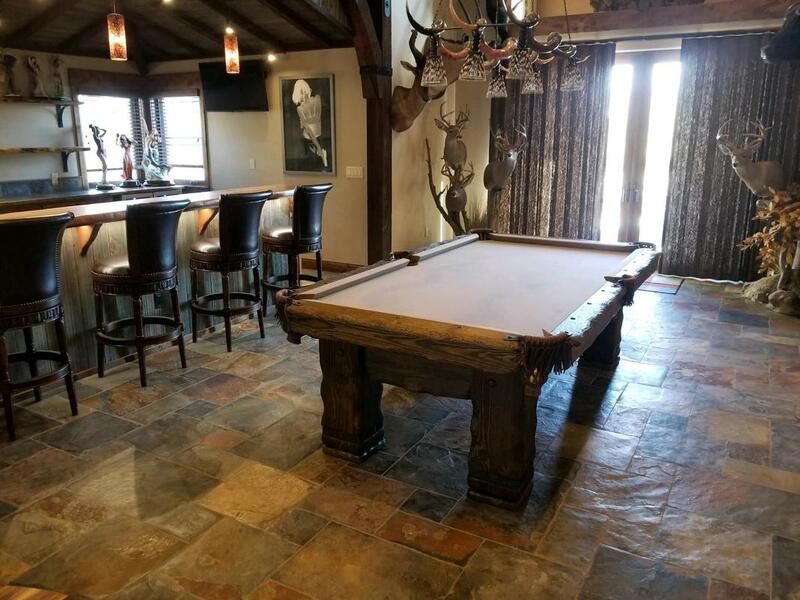 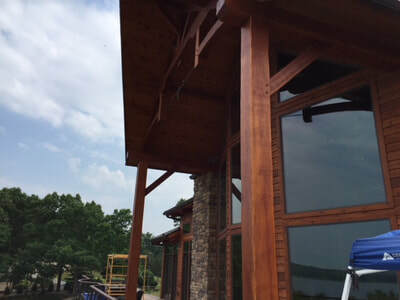 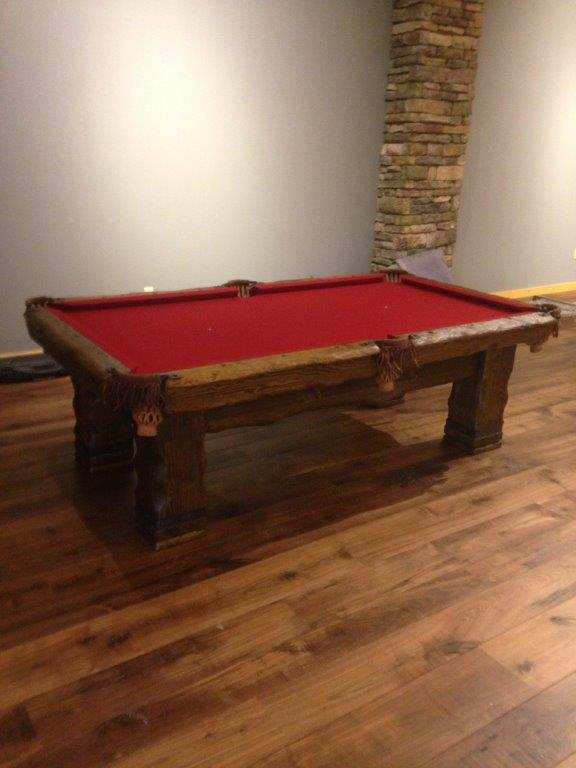 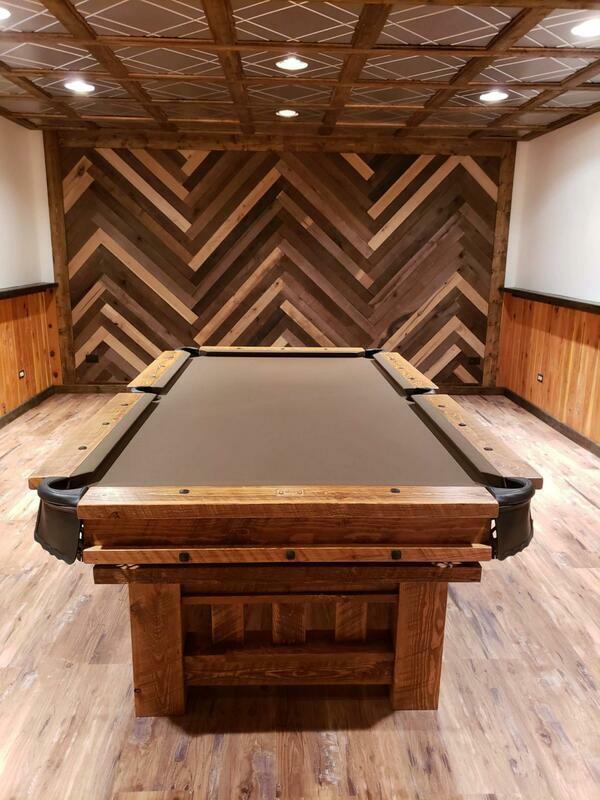 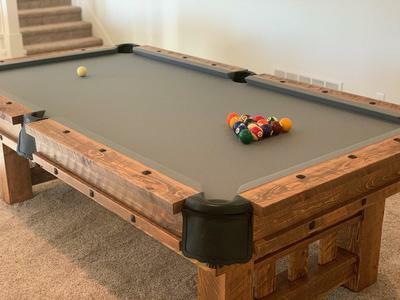 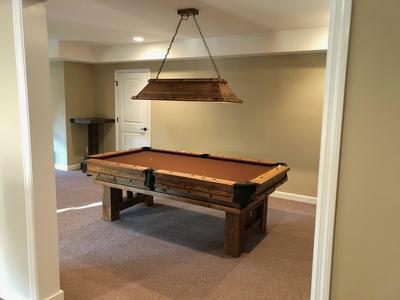 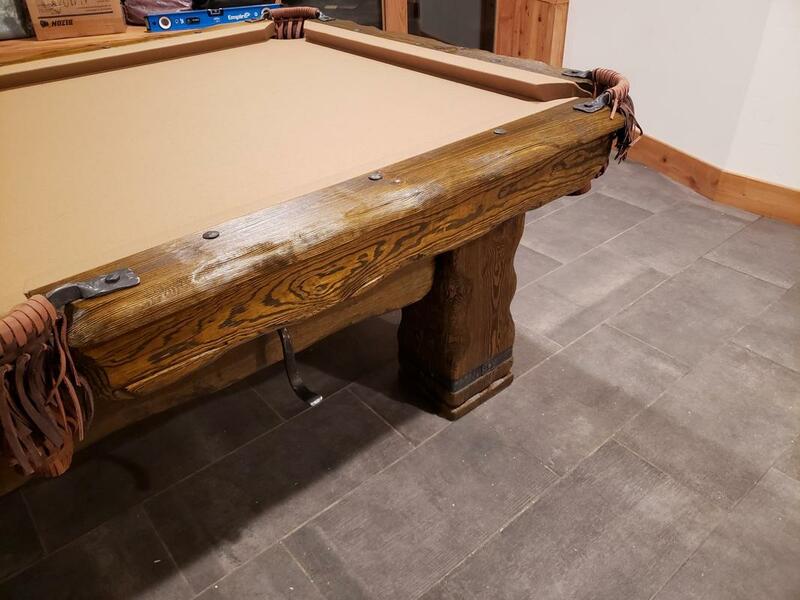 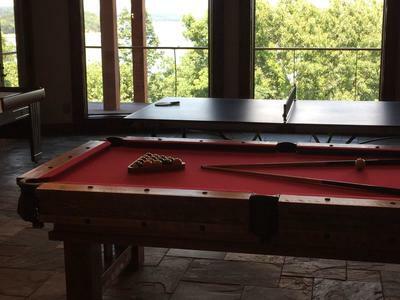 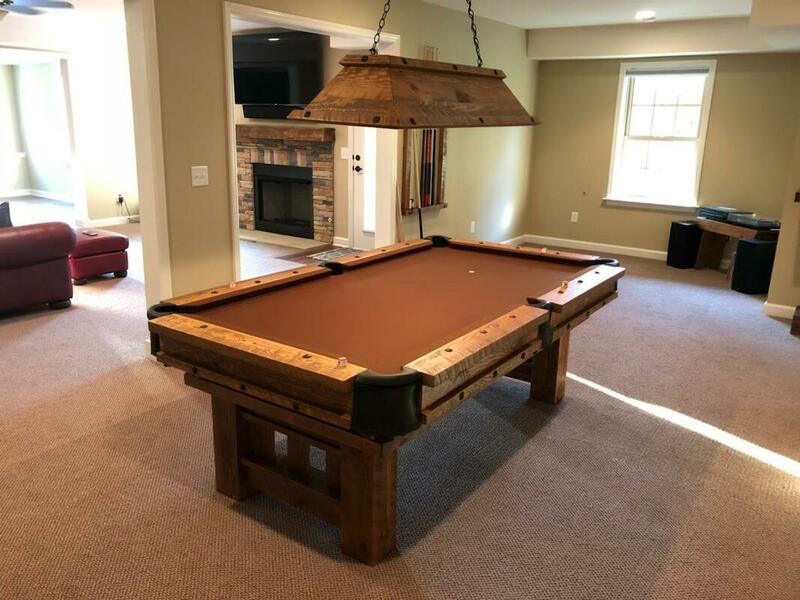 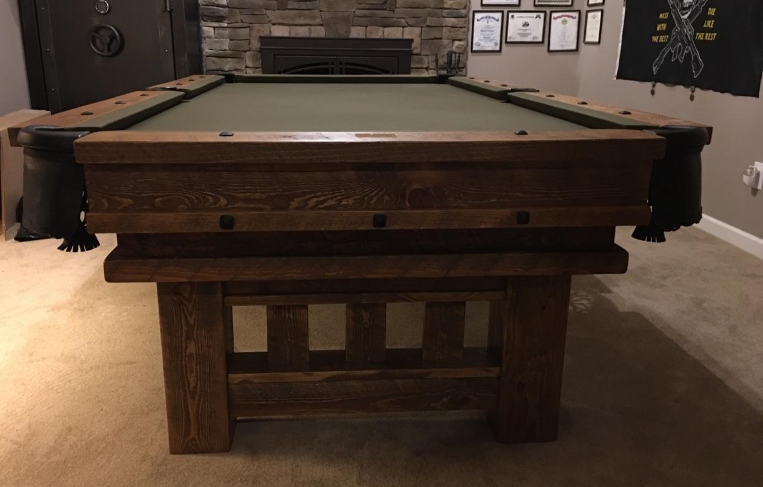 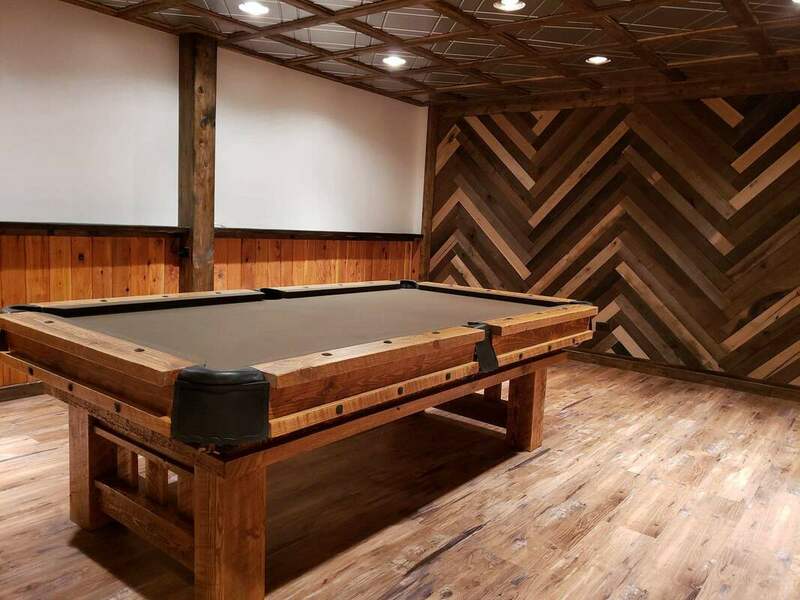 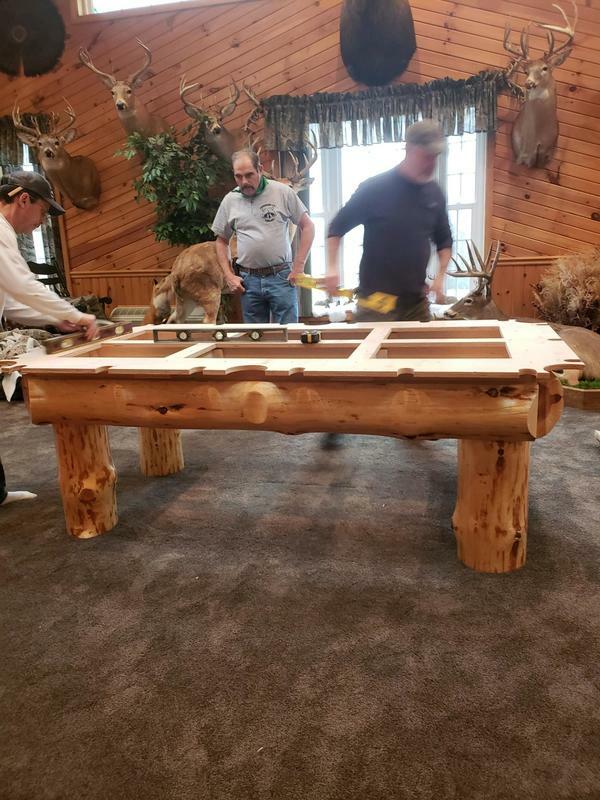 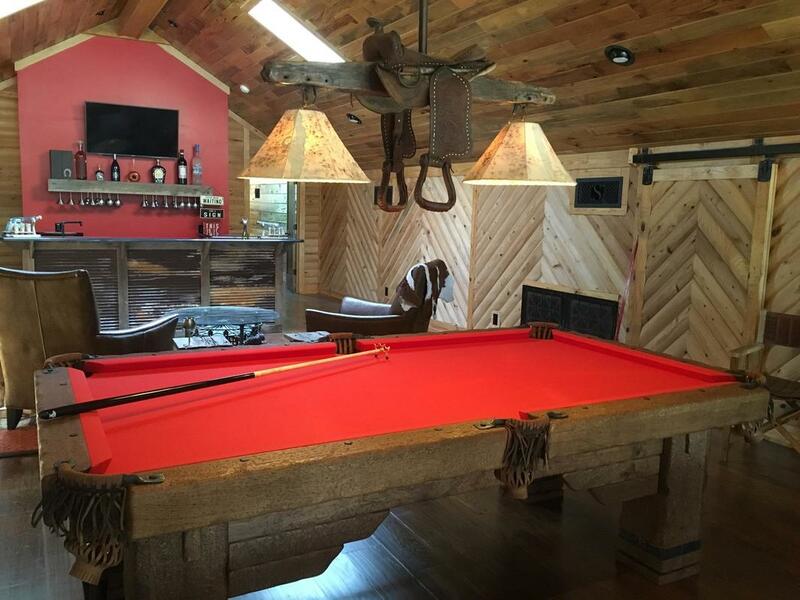 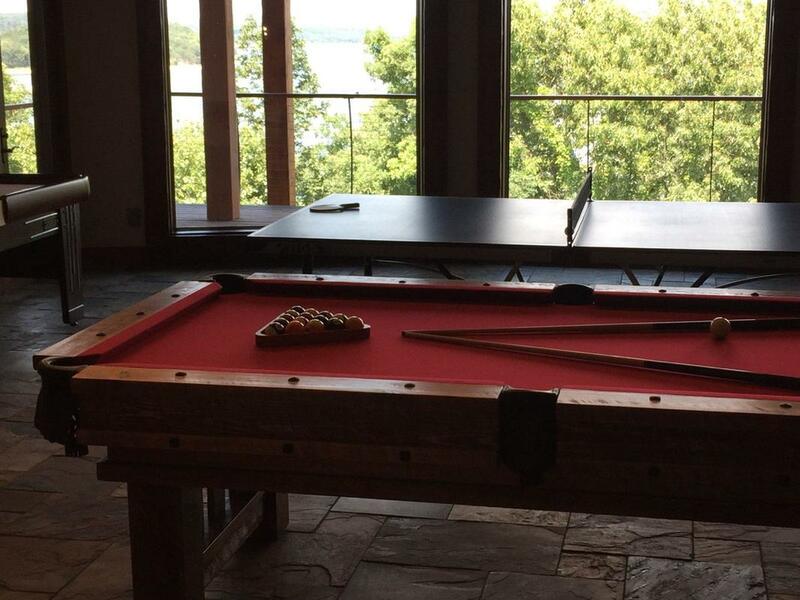 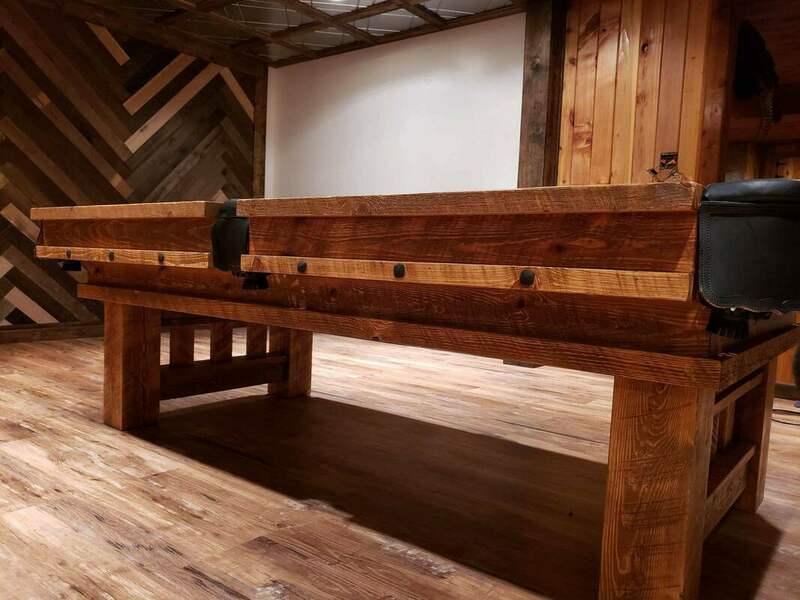 The folks at Generation Rustic Billiards were great to work with and they got all the little details perfect!"